Warning: If you haven’t seen the November 13th Westworld episode, “Trompe L’Oeil”, you’re about to be spoiled! The November 23rd episode of Westworld ended with a huge reveal, as viewers learned that Bernard (Jeffrey Wright) was in fact one of the robotic hosts built by Robert Ford (Anthony Hopkins) – in a sequence that also had Ford order Bernard, who had no choice but to comply, to murder his ex-lover, Theresa (Sidse Babett Knudsen) as she discovered the truth. I spoke to Jeffrey Wright about this huge turn of events, when he knew the truth about his character and what it means going forward. IGN: Did they give you any heads up early on about your character or did you get this script and go, “Oh, okay!”? 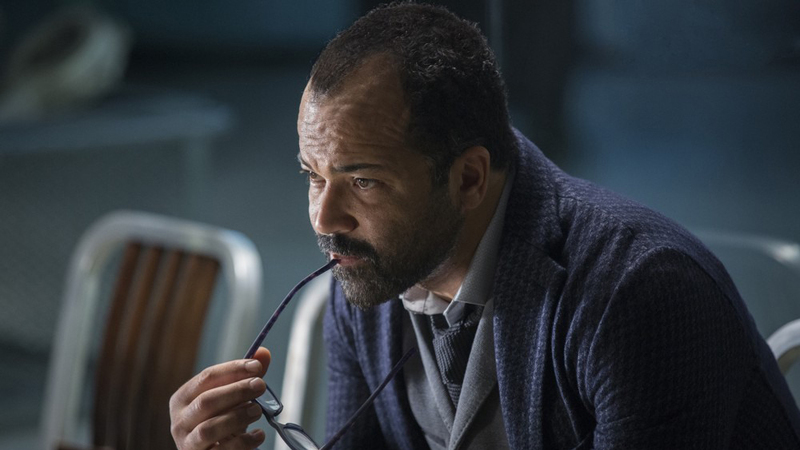 Jeffrey Wright as Bernard Lowe in Westworld. IGN: What was it going forward with your performance from episode two on with this knowledge in the back of your mind, while obviously not wanting to telegraph it? Wright: I was the only member of the cast who knew. Part of the deal was just behaving in front of the camera and off it as though Bernard and I are actually human. But at the same time, it was important and insightful because there were little fragmentary moments throughout that we hint at it. For example, when Teresa asks Bernard if he’s practicing when she’s talking to him in the ways that hosts do… While I was careful not to telegraph it there, I understood that that was a moment in which we were flashing a little light on that fact. And there are other occasional moments where we play with the idea that Bernard is in sleep mode in a very subtle way. It wasn’t hindering, it just added a few more layers and some magic dust to certain moments. IGN: While we can infer that he’s been implanted with memories of his son, we did see him talking to his wife. Will we get some answers on all of that soon? Wright: Bernard is now… He has now broken through the walls of the rabbit hole. He will be on a journey from there. IGN: Now that the secret is out, at least for us, I imagine it brings a lot of new shading to encounters going forward. Wright: Yeah. And I think that’ll be part of the fun is that’ll enhance everyone’s trip is that now only Ford, Bernard, and audience know. We’ll all conspire together as we go forward and find out what becomes of that. 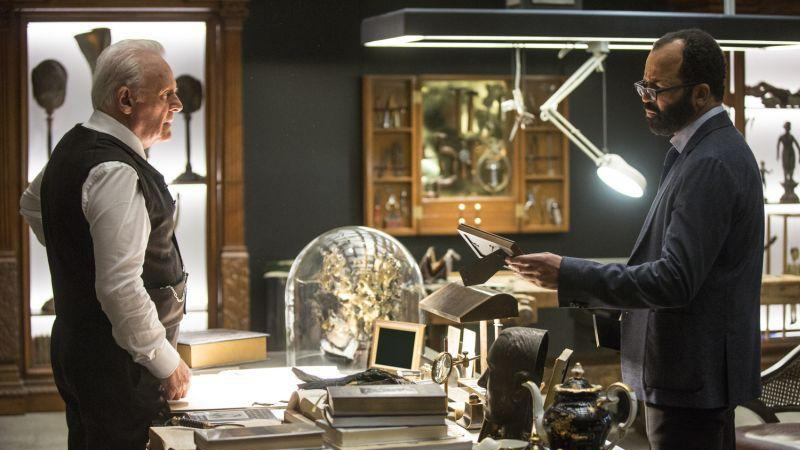 Anthony Hopkins as Robert Ford and Jeffrey Wright as Bernard in Westworld. IGN: Did you get to talk to Evan [Rachel Wood], Thandie [Newton] and James [Marsden] and some of your fellow Host actors afterwards and go, “Hey, I’m part of the club!”? Wright: Oh, yeah. You know, there were texts flying around between many of us, with Evan leading the charge after we got that script. And then, we went on hiatus and I went to see Ed [Harris] in Buried Child in New York and catch up with him and ask him how he was managing this extended, unexpected break we were having. We were both, as well, trying to figure out where the show is headed in the next episode and he says, “I don’t know what’s going on, and now I’m finding out you’re a goddamn host!” I had no idea where we were going. We were all as freaked out as I hope audiences will be. There’s a few theories out there that we might be heading in this direction, but I’m pretty sure people are not going to be able to predict how it’s revealed. IGN: I’m guessing filming the reveal scene was a pretty notable experience making the show. Wright: Oh yeah. That’s a fulcrum scene for the first season. That’s where you want to be. The goal from my perspective was to deconstruct this seemingly sensitive and humane and kind of emphatic guy into a machine. IGN: It feels like we have to question every single thing we saw Bernard do up until this point. Wright: I think it’s always healthy. I think it’s generally healthy to question everything. IGN: You mentioned fan theories. Now that it’s a while later and the episodes are airing, is it fun to see the audience reacting and some of the roads they’re going down? Wright: Yeah, this is what we’ve been salivating at is really that we would have company in our obsession with these stories and to finally share them with an audience who’s now behaving just as we behaved when we were filming this. We had cast theories as well that kind of mirror a lot of the fan theories. And some are more impressive than others on both sides of that fence. 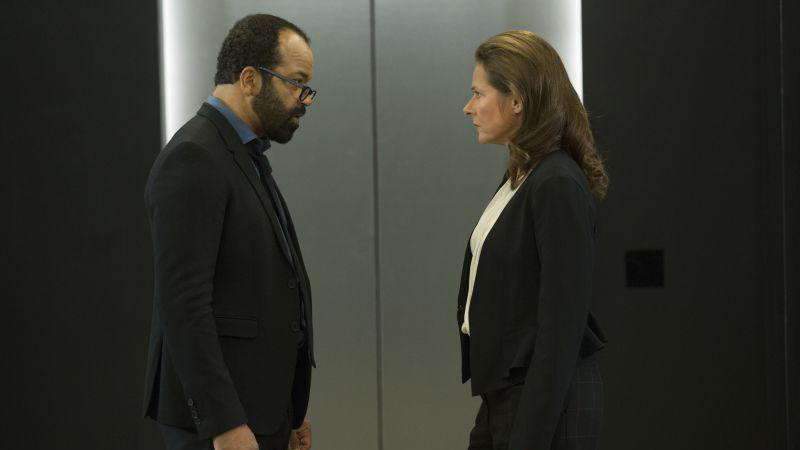 Jeffrey Wright as Bernard and Sidse Babett Knudsen as Theresa Cullen in Westworld. IGN: I’ve really enjoyed the Bernard/Elsie relationship, but now we have to wonder if he could be involved in her disappearance. Wright: I think the intent from Jonah’s and Lisa’s perspective is to answer all questions. It would probably be unfair to raise questions and not respect the audience’s curiosity and desire for those questions to be answered. In many respects, Jonah has described me the first season as really a prequel to the beginning of the show. There are a lot of narratives and character structures to build this first year and at the end of the season I think we’ll all have a full understanding of where we are and who we are and then I think we’ll too know that the possibilities with this premise of where we might be headed are only limited by the collective imagination of Jonah Nolan and Lisa Joy and J.J. Abrams, which is a pretty wide open space.